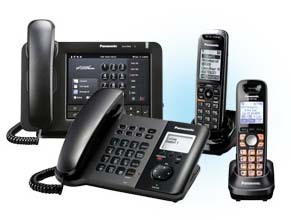 Panasonic is the industry leader in the telephony. IP telephone with color LCD screen/built-in graphical user interface (GUI). Includes built-in speakerphone, SD card slot for programming and data backup, Bluetooth compatible (with optional module), Power over Ethernet (PoE). Works with Panasonic Communication Assistant productivity software. IP phones work well with multi-cell DECT phones for a whole home solution. To learn more about Panasonic phones, please fill out the form.